Finkelstein, Maxwell W.. "Glacier National Park". The Canadian Encyclopedia, 30 October 2018, Historica Canada. 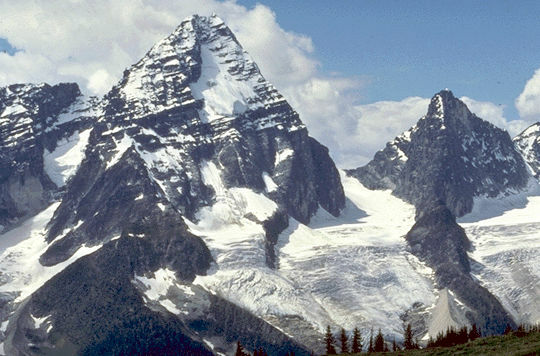 https://www.thecanadianencyclopedia.ca/en/article/glacier-national-park. Accessed 20 April 2019. Glacier National Park (established 1886, 1349.3 km2) was carved from the rugged Selkirk and Purcell mountains of BC by more than 400 glaciers. Its sheer valley walls have been scarred by countless avalanches caused by heavy snowfalls. 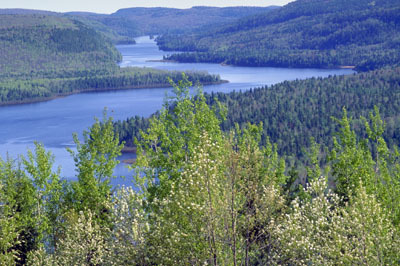 Many glaciers and avalanche slopes can be seen from the Trans-Canada Highway that bisects the park. Underground rivers have created unique cave systems. Nakimu Cave, among the top 10 largest cave systems known in Canada (and the second largest in the national park system, next in size to Castleguard Cave in Banff National Park), is an underground fantasyland of black pools, hidden waterfalls and "moonmilk." Moonmilk is an extremely rare formation of calcium carbonate kept in partial suspension by bacterial action. Nakimu has the most extensive moonmilk deposits known. Half of the park is above the treeline. Much of this area is rock and ice but there are also extensive areas of alpine tundra, where meadows burst into flower only for a few short weeks each year. 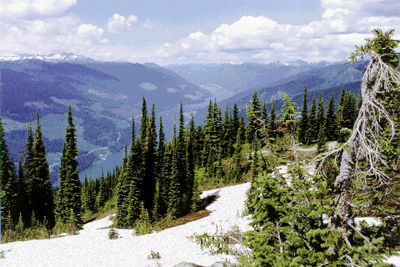 Below the meadows, stands of Engelmann spruce and alpine fir descend to the interior rainforest of western red cedar and western hemlock. High mountains, deep snow and long winters make a harsh environment for wildlife. 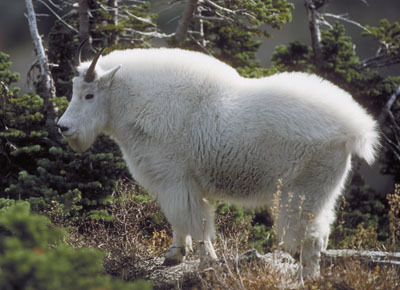 Some species, eg, mountain goat, are able to withstand the rigorous conditions year-round. Others, eg, hoary marmot, hibernate in winter. Glacier is famous for its black and grizzly bears, which find abundant forage on the park's avalanche slopes. Populations of grizzly bears, along with mountain caribou, are threatened by loss of contiguous old-growth forest habitat outside of the park. 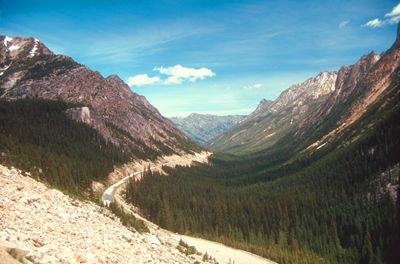 The rugged Selkirk Mountains were a barrier to travellers until the discovery of Rogers Pass in 1881. 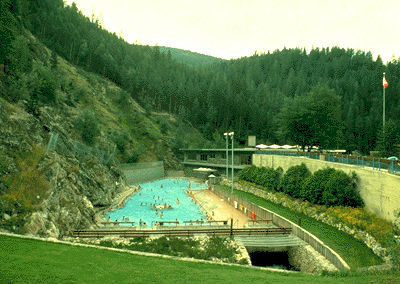 Development of the pass as a link in the building of the first transcontinental railway and, in later years, the Trans-Canada Highway have played a major role in the park's history. These mountains offer a dramatic backdrop for campers, and a challenge for hikers and climbers, and with the most snowfall in Canada, a challenge for backcountry skiers.